If you want a mens tuxedo with a regular fit, this is the section you need to be on. 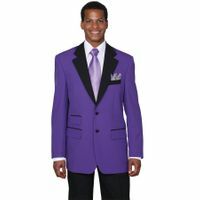 Regular fit tuxedos are your standard fitting tux when you think of how a regular tuxedo fits. In this day and age there are so many choices, styles and fits for tuxedos that the well informed customer needs to know what kind of tux he is shopping for and what type of fit he is looking for. 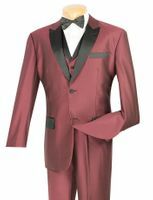 Usually for men who are grown and thirty or older, the regular fit tuxedo is what you want to be shopping online for. This is the classic fit that is not too loose and not too tight. 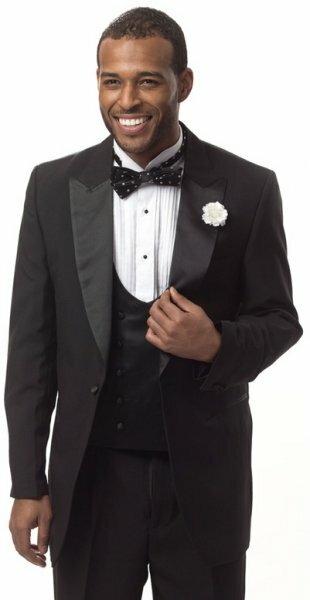 Regular fit tuxedos now come in many different styles from 1 button,2 button styles, different style lapels and even with tails. Don't forget about your feet, Stacy Adams Shoes are what you need to finish off your look. Buy Classy Double Breasted Wool Tuxedos Statement and Shoes to Match !! Free Shipping at ContempoSuits.com. 30 Day Money Back Guarantee.